Are you in the market for innovative advertising? 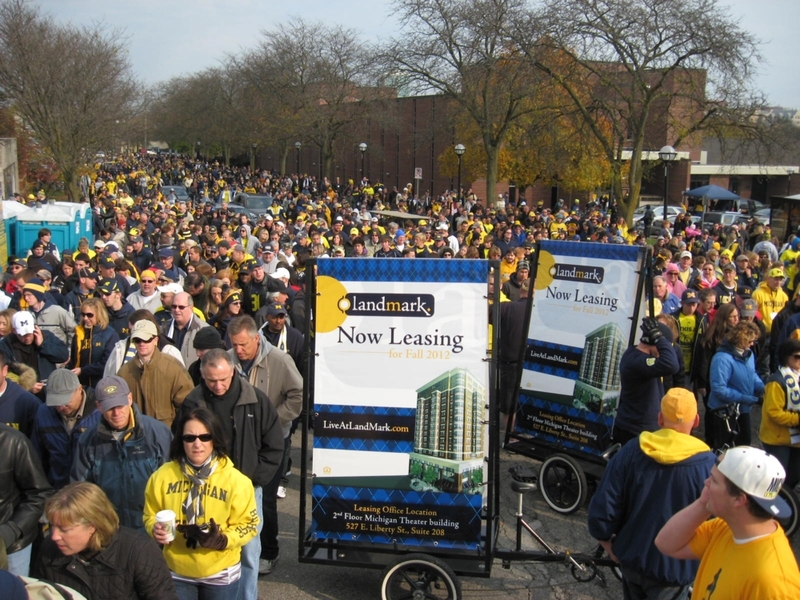 With a population of over 120,000 in Ann Arbor, what percentage of them make up your target audience? You’re connecting with how many of them with your resent advertising? 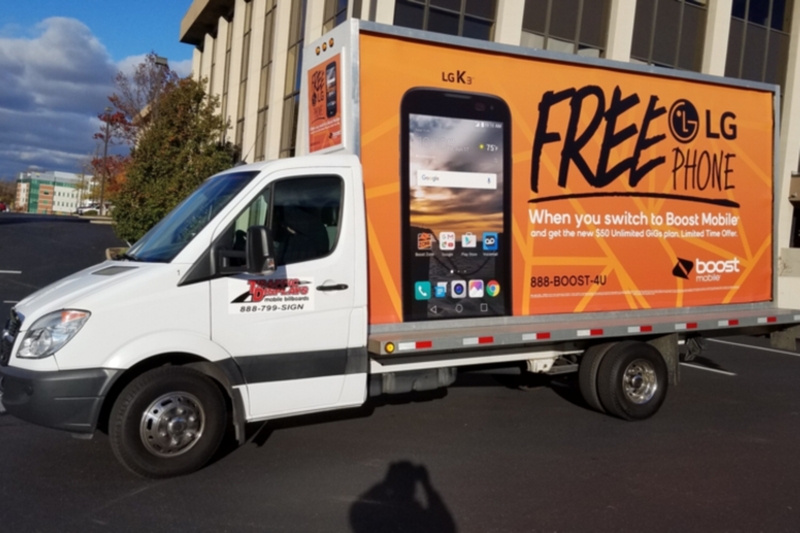 Your ad will be taken directly to the consumer by Traffic Displays with the use of our Ann Arbor Mobile Billboard Trucks. 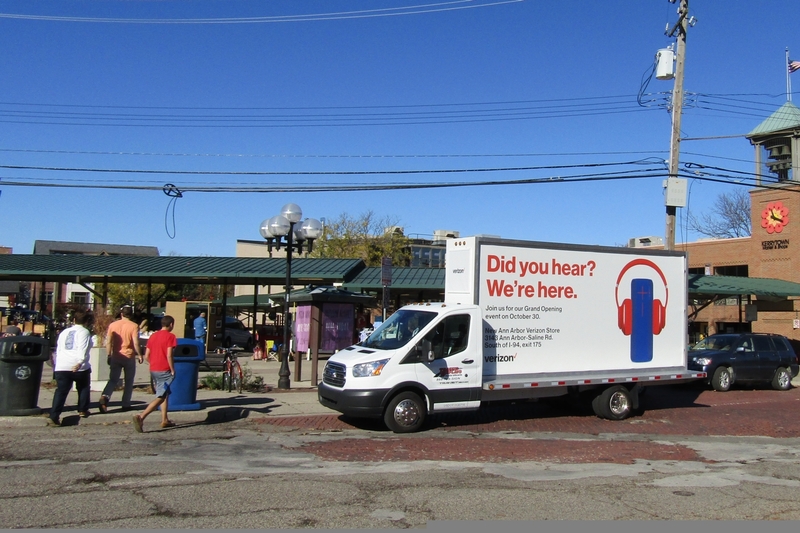 Our Mobile Billboard Trucks encompass the 27 square miles of Ann Arbor, Michigan. 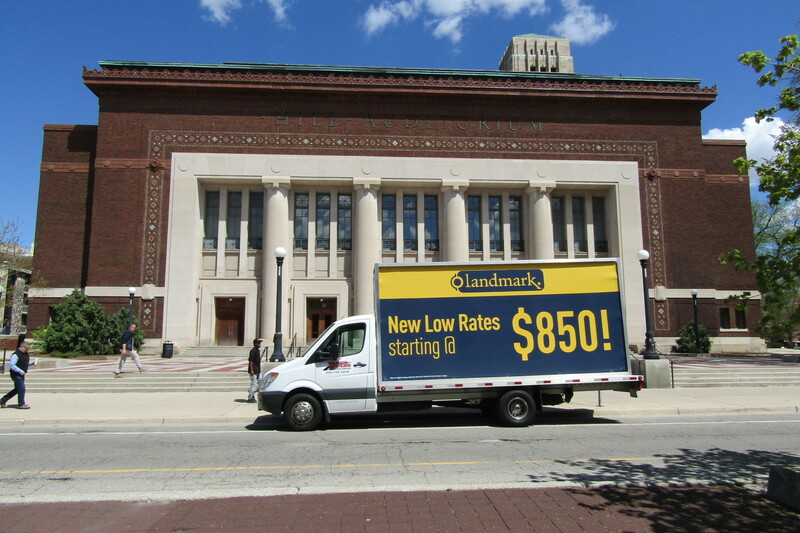 One of the best places for your Ann Arbor Mobile Billboard truck to advertise is on the University of Michigan campus! With a full-time student population of approximately 44,700 at the University of Michigan how many does your advertising reach? Traffic Displays reports your ad directly to U of M students and staff by traveling on the streets in and around campus. 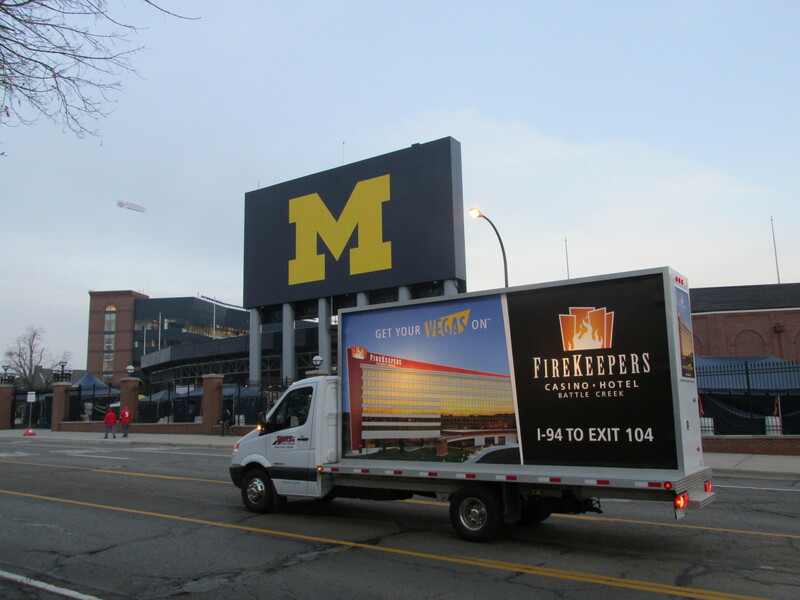 Our mobile billboards blanket the 3,207 acres of the University of Michigan campus. University of Michigan is known for its football and with The Big House’s capacity to host over 109,000 people, you are sure to get your message in front of your target audience at a U of M Football game. For various advertising campaigns, traditional outdoor advertising is important but ultimately fails to target your core audience. 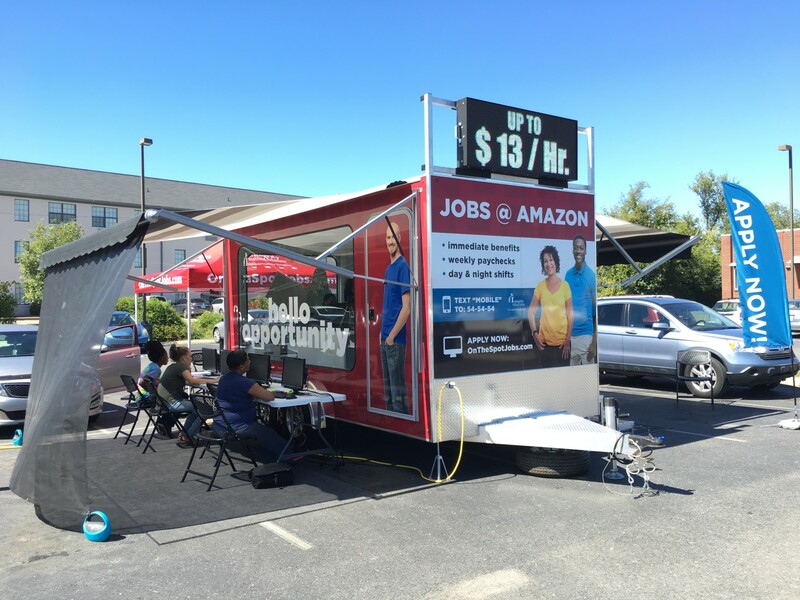 Pinpoint those customers with mobile billboards wherever and whenever you require. 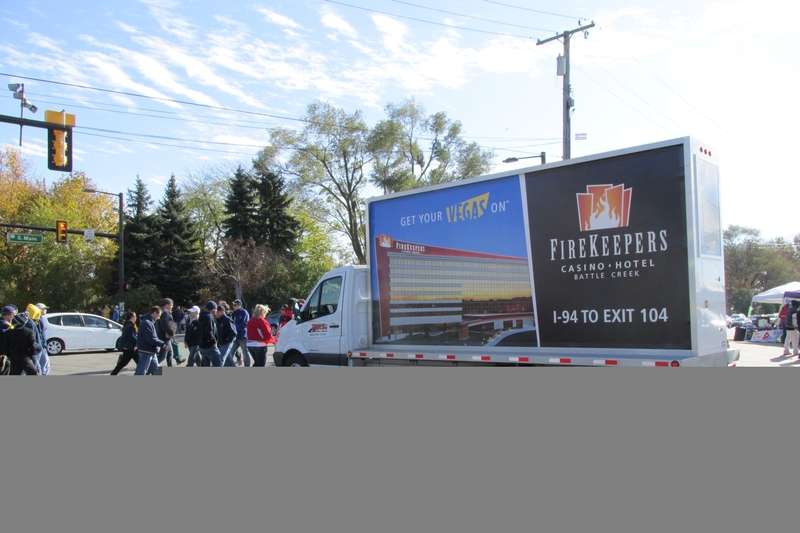 With a fleet of mobile billboard trucks, Traffic Displays will reach your primary audience anywhere, day or night. What can a mobile billboard truck accomplish at night? Each truck has LED back-lighting installed which will keep your ad working long after the sun itself drifts to sleep. There’s more; we place your ad on all four individual sides of the vehicles! Command their attention during their trip to class, by their work, and as they go out on the town. Canvass events, grand openings, product launches and much more right here in Ann Arbor, Michigan. 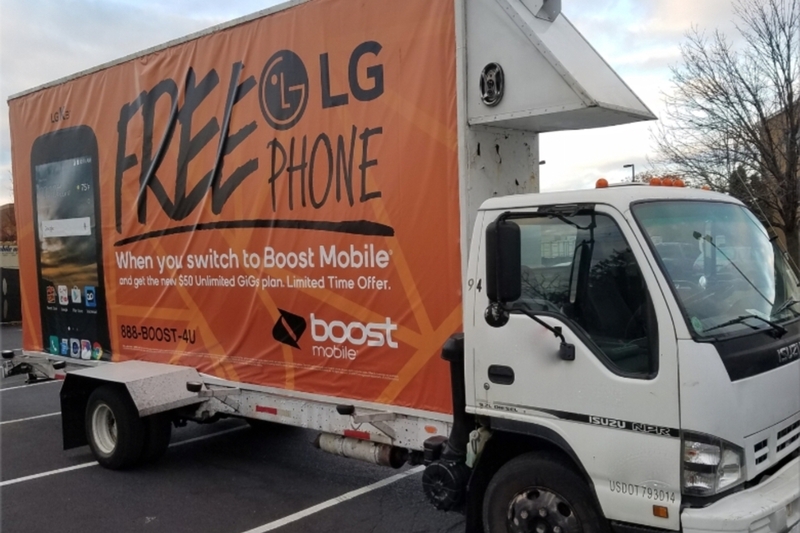 Have you contracted mobile billboards before? Are you discontented with rumpled banners, and old, rundown trucks, with an unprofessional appearance? Desire lead times that’ll get your message out faster? Traffic Displays accomplishes fabrication in house, putting your sign on the road faster than the competition. 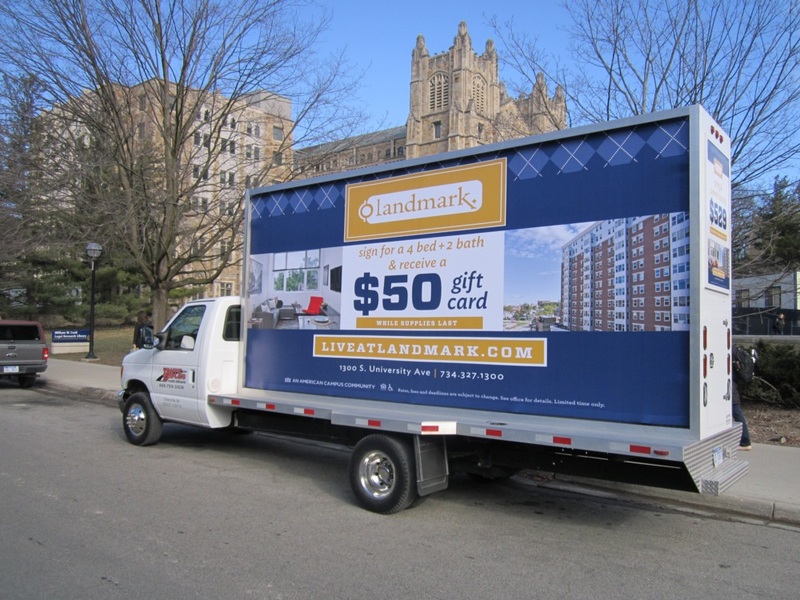 We fabricate all of our Ann Arbor Mobile Billboard Trucks, giving them that varnished appearance that reflects the integrity of the company. The taut signs combined with fresh, well-maintained trucks and supported by back-lighting and incredible drivers shows a sense of professionalism and dependability you will find no where else. 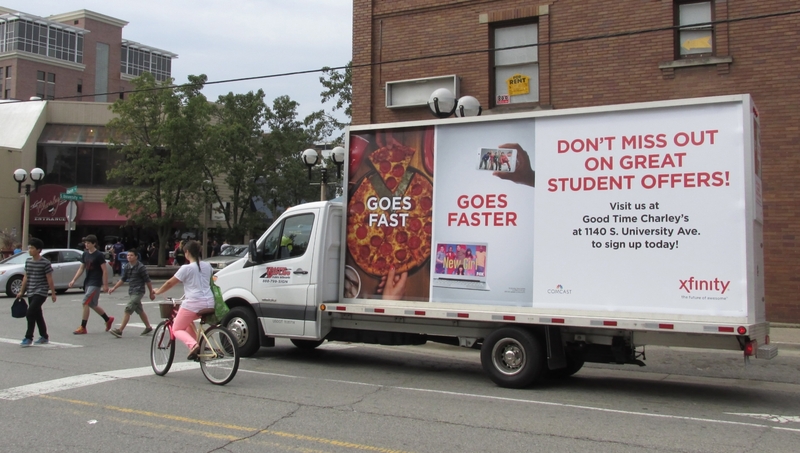 A GPS tracking unit is installed in each of our Ann Arbor Mobile Billboard Trucks. 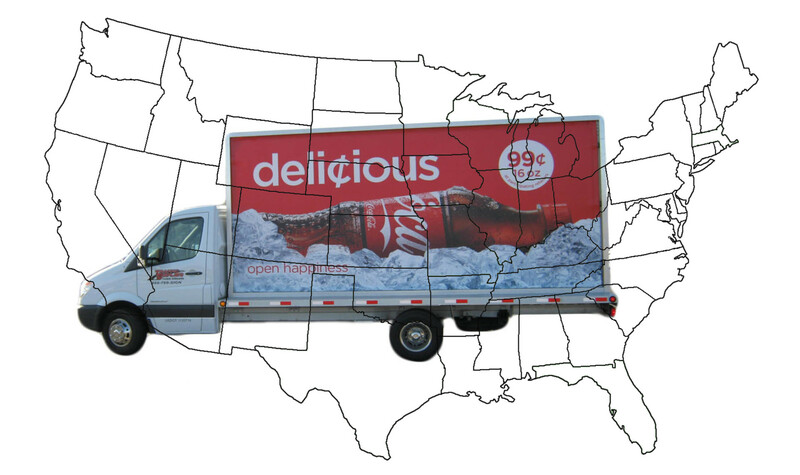 See a map of when and where your ad has traveled. But we’re not done; Traffic Displays will make sure you’re updated with photographs of your campaign ad at various points throughout your intended areas. We want you to see your message at work, which is why we supply Photographs, GPS reports and GPS daily maps as a Proof of Performance report at the end of your campaign. Check out our additional services offered in Ann Arbor, MI! 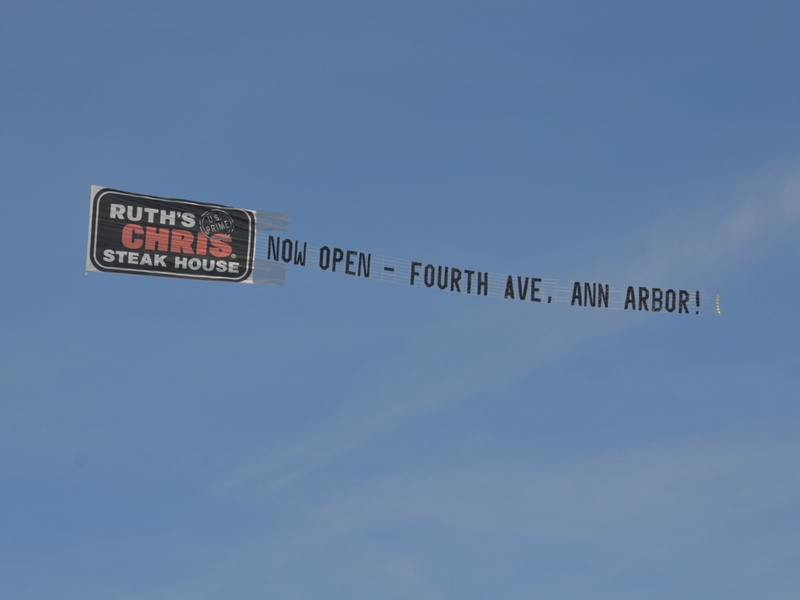 Ready to take your ad on the road in Ann Arbor? Contact Traffic Displays today!